"OFFICIALLY OPEN! STILL SOME MAJOR NAMES LEFT. JOIN TODAY!!!!" 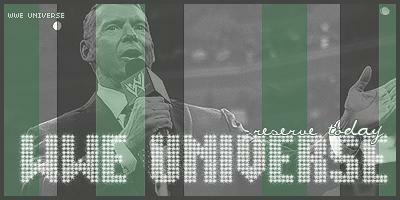 �� WWE: UNIVERSE is a website listed on the Top Site List Planet list Top Efederation List..